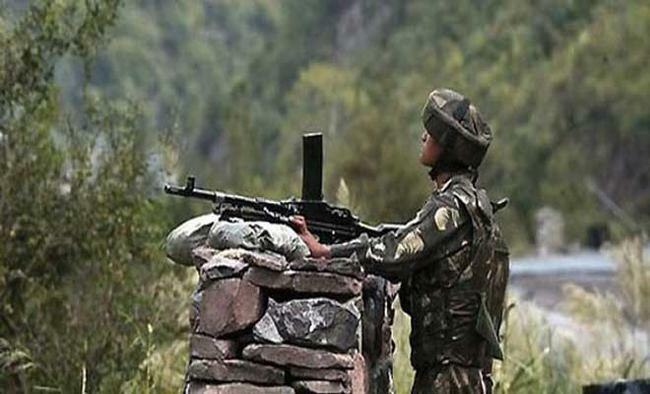 Jammu: One Border Security Force (BSF) trooper was injured on Friday in ceasefire violation by Pakistan on the International Border (IB) in Jammu and Kashmir's Arnia sector, sources said. The trooper was injured in unprovoked firing by the Pakistan Rangers here when he was cutting tall grass on the Indian side of the IB, a BSF source told. "After the BSF retaliated, firing from Pakistani side stopped," the source added. The firing went on for 30 minutes. Pakistan on Thursday had resorted to heavy firing and shelling on the Line of Control (LoC) in Rajouri district. One woman was killed in the shelling while two others, including her husband were injured.